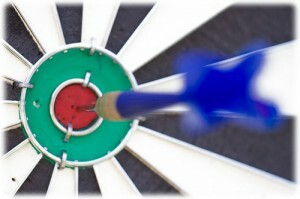 Targeted Date Funds May Have Your Money In Their SightsEliminate The Muda! Some years ago I caught a segment on the news about the benefits of a so called “get it and forget it” targeted date retirement funds. The news story made a great case for why any non-financially savvy investor (that’s me!) should consider these funds. Being able to let the professionals handle my retirement following a pre-planned and proven strategy of diversification and re-allocation as retirement neared sounded great. This was a great investing option for non-CFP individual investor such as myself. These funds do all your work for you including diversification of your assets into a range of asset classes including equities, fixed income and short term funds. They also look out for your investment over time by slowly shifting the allocation of your investments to more and more conservative vehicles as you age, migrating more and more out of equities and into increasingly conservative funds over time. On the surface these may look good, but when you start digging deeper you may see why targeted date funds may not be a good option. As case study I have chosen the Fidelity 2040 fund only because this is a fund that I had, sadly, invested in for a period of time. There sure seems to be a lot of similarity between these funds. 3 stocks; Exxon, Chevron, Goldman Sachs and JPMorgan are in all three. Another 3 stocks are in at least two. And this only represents the 3 largest funds of the 2040 and only the top 10 holdings of each. Look at the details of all the funds and you will find dozens, maybe even hundreds of duplicates. So let’s take a look at some of the smaller holdings for the Freedom 2040 fund. 4 of the top ten holdings of these two accounts are the same. When you look at the total holdings of all the different funds there is a lot of diversity between equities, foreign and domestic, big cap and small and even a smattering of bonds to boot. But the duplication is a little disconcerting. More concerning however is the overall costs that your investment incurred being diversified into a number of different portfolios that are all managed by the same company. Consider for a moment the top three equity funds noted above. All three invest a portion of your money into JP Morgan, Chevron, Exxon and Goldman Sachs. However when you look at the details of the individual funds you pay a different management fee for each. The Equity-Income Fund charges .77%, the Series Large Cap Fund charges .82%,the Disciplined Equity Fund charges .88% and the Growth Company Fund charges .97%. Why should you be paying the same people two or more different rates for managing your investments in the same company? Let us also not forget the .79% annual fee that you pay on the overlying fund. According to the prospectus this is the “Acquired Fund Fee”. Looking at the definition of this term in investopedia this should reflect “the operating expenses of the underlying funds.” This became a requirement as of January 2007 and this information is found beneath the “Fees and Expenses” heading of the prospectus. Reading through the prospectus there is not clear verbiage that reflects this fee as simply a pass through cumulative charge of the underlying funds. A call to Fidelity found additional confusion by the gentleman that answered the phone. He willingly put me on hold to check with others and came back to confirm what investopedia suggests. Wouldn’t it be nice if we could simply take financial advisors at their word? When asked where I could find documentation that supports their statement I was advised that I must rely on the prospectus. In total just less than half the funds have a fee less than the “average” of .79%. But the other 11 funds that have fees greater than .79% represent 54.5% of the total investment with 8 funds that exceed 1.0% in fees, the highest being 1.44%. Therefore I am left to conclude that the .79% fee is above and beyond the fees charged to the underlying funds. Could I be wrong? Maybe, but a quick search on Google will also find several references to other funds of funds that apply this same fee layering approach. The first thing to realize is that you are paying a fee of .79% for a targeted date fund whose major goal is diversification. Why not pay .10% for the Fidelity Spartan 500 and save a huge chunk of change? You still get diversification, the only thing you don’t get is somebody else reallocating your money as you get closer to retirement. While this doesn’t seem like much, over our lifetime this can impact your total return by tens of thousands of dollars. Secondly, there are concerns that these funds may not have the best allocation of investments for your particular circumstances. Our government is so concerned about the performance of these funds that Congress is investigating targeted date funds. What do you think about complex investing strategies such as this? Hmmm, very nice how you dissect the various funds and question their efficacy. I like. Got to admit the industry is quite ingenious with creating these new types of vehicles!